Together with a group of colleagues, Michèle wrote a letter to the editor of the Chronicle, to reply to an earlier article that presented the open science movement as “burning things to the ground”. Michèle and her colleagues disagreed. They argue that they mainly see cooperative, constructive, and pragmatic initiatives to improve the state of psychological science. Chartier, C. R., Kline, M. E., McCarthy, R. J., Nuijten, M. B., Dunleavy, D. J., & Ledgerwood, A. A cooperative revolution in psychology. 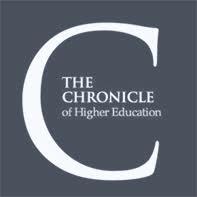 The Chronicle of Higher Education. Retrieved from https://www.chronicle.com/blogs/letters/a-cooperative-revolution-in-psychology/. The Meta-Research Center has been featured in volume 361, issue 6408 of the Science Magazine published on September 21, 2018. We are honored to see the impact of our work in this special issue of the Science magazine covering the importance and growth of the meta-research. The recent publication of Robbie van Aert and Marcel van Assen in the Behavior Research Methods journal has been featured on Psychonomic Society's Blog by Stephan Lewandowsky. The blog post outlines the issue of combining the results of a replication study with the results of an originally published experiment, as well as describing van Aert and van Assen's hybrid meta-analysis technique that addresses this issue. 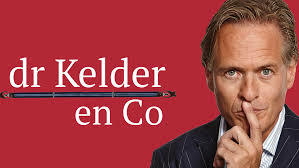 Saturday June 30, Michèle was interviewed about her dissertation for the Dutch radio show “Dr Kelder & Co”, for NPO Radio 1. The main takeaways: scientists are also just people, psychology is heading into the right direction, and trains don’t always do what you want. This week the Guardian's Science Weekly podcast focuses on statistical malpractice and fraud in science. Michèle talks about the role of statcheck in detecting statistical inconsistencies, and discusses the causes and implications of seemingly innocent rounding errors. This podcast also offers fascinating insights from consultant anasesthetist John Carlisle about the detection of data fabrication, and president of the Royal Statistical Society David Spiegelhalter about the dangers of statistical malpractice. The long-read in the Guardian today by Stephen Buranyi featured our work at the Meta-Research Center. Specifically, it focuses on the work of Chris Hartgerink and Marcel van Assen on detecting fabricated data, and how the development and use of statcheck played a role in their research. Read the full article here.